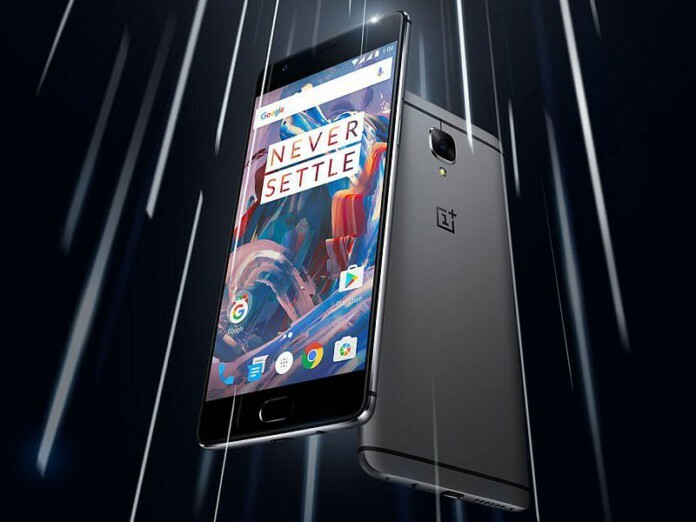 OnePlus 3T Sale Amazon India: The all new smartphone launched by OnePlus, 3T goes on sale exclusively on Amazon.in. It’s the upgraded version of the previous available high-end phone OnePlus 3. The price of 64 gigs of inbuilt storage version is Rs. 29,999 while the 128GB variant is priced at Rs. 34,999. The exclusive sale via online retailer partner, Amazon India starts from 12:01 am IST on Wednesday. Both the variants are available in two color options – Gunmetal and Soft Gold. During the India launch of the device, the company had stated that the 128GB variant would only be available in the Gunmetal color in India. Later on, OnePlus3T 64GB variant will be available in the Soft Gold color. 3T has got minor upgrades as compared to its predecessor, the OnePlus3. However, the selling of OnePlus 3 will be continued in India as per the statement of the company officials. It means that both the smartphones will be available to purchase in the Indian market. The major differences between the two phones are a faster SoC, increased storage capacity, better front camera, and a larger battery. Also, the OnePlus 3 T utilizes a faster Qualcomm Snapdragon 821 SoC Quadcore (2 cores at 1.6GHz and 2 cores clocked at 2.35GHz). The predecessor has Snapdragon 820 SoC. 3T has both 64GB and 128GB models while the previous one has the only 64GB variant. The resolutions of the front camera have been doubled from 8MP to 16MP. Moreover, the company has also installed Samsung 3P8SP with 1-micron pixels sensor from the Sony IMX179 with 1.4-micron pixels. 3T of OnePlus now sports 3400 mAh battery over 3000mAh in the OnePlus3. Moreover, the latest phone supports Dash Charge (5V 4A) fast charging technology. The company says that 50% charged phone could be used for a day long. Also, it 3T has 6GB of RAM. Earlier, it used to be 4GB in the predecessor. Apart from the above features, other specifications are the same. It is made from the same anodized aluminum metal unibody design, the same fingerprint sensor on the home button, and the same Alert Slider apart from capacitive hardware keys. OnePlus 3T also comes with the same USB 2.0 Type-C port, and a 3.5mm headphone jack. It sports a 5.5-inch full-HD (1080×1920 pixels) Optic AMOLED display with Corning Gorilla Glass 4 protection. On the connectivity front, the phone sports 4G LTE, WiFi 802.11ac, Bluetooth 4.2, NFC, and GPS/A-GPS. Moreover, it is of the same dimensions and weight.